Travelling is an awesome way to learn about different cultures and explore the world. And no matter where your travel interest lies, there is always somewhere to go! It may be a new neighbourhood or it could be on the other side of the globe, but anywhere new is sure to bring adventure and fun. 1) Have a check list of places and things you would like to go see. By making yourself a check list, you will be prepared to make the most of your day. The more you plan in advance, the less time you’ll waste. Being organized will help you enjoy your stay without having to worry what to do next. 2) Take time to relax and embrace the present moment. Don't force yourself to see everything in a day; you won’t enjoy it as much. The more you rush to see everything the more exhausting it’s going to be. Take time to enjoy each moment while travelling because your sojourn won’t last forever. 3) Try new things. Get out of your comfort zone and try new things! Learn about the culture your visiting, meet new people, try a new style of clothing etc. Try the food specialities from the city you’re visiting even if you've never tasted or heard about it before. You might be surprise on how much you love it and how much it satisfies your taste buds. 4) Make sure to not only travel but to have a night out with friends. Going out at night in a different city is always interesting; you see how other cultures love celebrating. In the end the best memories from travelling are the adventurous times spend with friends and loved ones. What do you do to maximize your travel fun? Let us know in the comments below! Business travel may seem glamorous at first but in reality it can become quite stressful. You are constantly living out of your suitcase and anything can happen during your travels. Here are a few items you’ll be grateful to have in your carry-on to make the trip as comfortable as possible. -Only pack the essential personal care items. You don’t need to fill up your carry-on with all your toiletries. Most hotels will provide the essentials that will help you save that extra weight and space. Also bring a small toothbrush and facial wipes for the flight. -A filtration water bottle. Save money and reduce waste by bringing your own water bottle that has its own filtration system. -A small kit for medicine and first-aid. You don’t want to be spending money on a bottle of aspirin at the airport when you need it. Pack it in your carry-on along with a mini first-aid kit for any mini emergencies. -A spare change of clothes. You never know if your flight is going to be delayed or if the weather will ruin your outfit. Bring a spare change of clothes because you may just need to go straight to a meeting when you land. -Snacks on the go. Keep your energy up by having snacks in your carry-on. Think granola bars, trail mix, and sandwiches. -Cell phone and laptop charger. If you’re going to keep busy on your phone and laptop at the airport, it’s always nice to have a charger on hand. It can be really frustrating if you don’t have your charger and you have to go out and find the right one. When travelling to any destination, it is extremely tempting to bring all your beauty products along with you even though they are sometimes unnecessary. Our beauty products are our prized possessions but sometimes a girl’s got to compromise, especially when there are tons of restrictions on bottles and liquids when travelling. Don't worry because we have 5 beauty tips to prepare you for the next trip you go on. 1) Figure out your essentials. What are the items that you cannot live without? That could be your foundation, mascara, or lipstick. Go through your beauty products and sort them into items you need and don’t necessarily need on a trip. 2) Mini. Everything. It is super easy to find a tiny version of that shampoo or lotion that you like. Another option is getting mini bottles and squirting your own stuff into them. 3) Avoid spills or leakage. If you’re bringing shampoo or lotion, wrap them in towels or in plastic bags so they don’t spill all over your stuff. You don’t want to arrive at your destination only to find all your stuff covered in a sticky mess. 4) Stay looking (and feeling) fresh on long flights. Bring a face spray or wipe with you to freshen up during a long flight. Also bring moisturizer since it can get extremely dry in planes. 5) Try solid options. Solid shampoos and soaps such as the ones from Lush are a great alternative to liquids when packing. They also work just as well as their liquid siblings. This may sound obvious but many people forget to do it. By writing everything down and how many of each you need, you can easily determine what are essentials and what’s not. 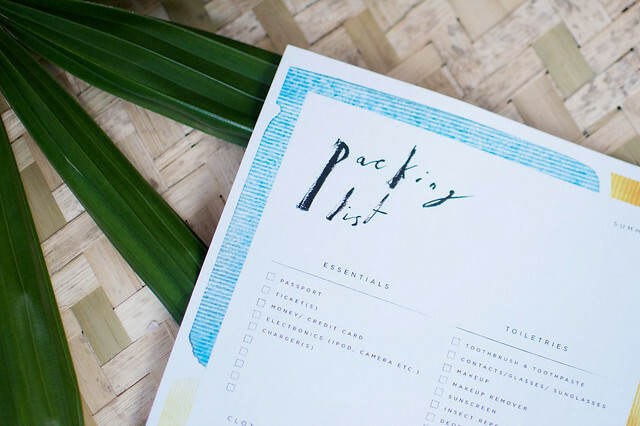 These printable lists from a pair & a spare are a lifesaver! Try rolling your clothes instead of laying it out flat as it will save you a lot of space. Stack the bulkiest items in the corner to distribute the weight, followed by your other items in the centre. 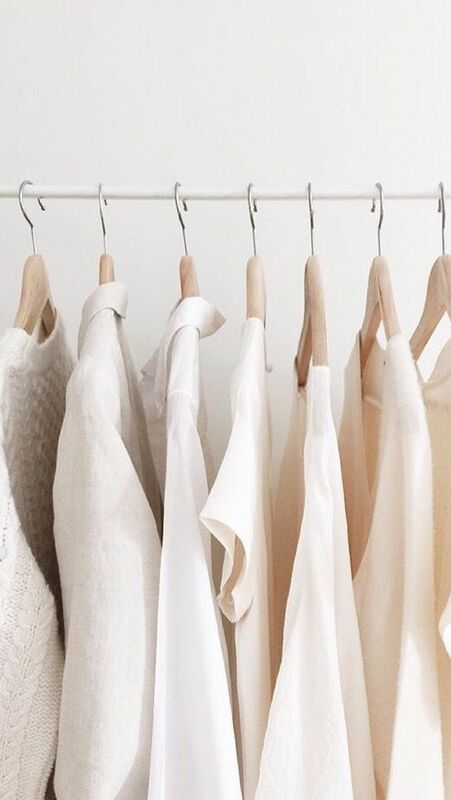 If you stay with neutral colours when packing, it is easier to mix and match your pieces. If you’re going on a business trip, bring along skirts, pants, and blazers that complement each other. If you’re headed somewhere cold, layers are necessary but don’t pack a bulky jacket. Instead, opt for thin sweaters and you can wear your largest layer on the plane with you. Summer heat doesn't always mean you can ditch the sleeves, after a day in the sun the evening can cool down. Instead get the best lightweight summer layers, that are easy to pack and travel with. Before you toss any pair of shoes into your bag, ask yourself if you really do need them. Usually you want to have a pair of dressier footwear and a casual pair. When going to a city such as New York, the city that never sleeps, you must be prepared for a long day of seeing all the different parts that New York has to offer. We’ve got you covered with some tips on what to pack from day to night when roaming the city. Whether you’re starting your day with a neighborhood stroll doing some light shopping and going to the MoMA midday and finding yourself ending the evening with dinner and a tour of the Empire State Building, you can take an outfit all through the day with some simple changes. Turn your day outfit into an evening look simply by changing into wedges, adding a statement necklace, and applying red lips. This helps you pack light and you’ll look fabulous while you’re at it! I am so excited that the warm weather has finally arrived! Since business tends to slow down a bit in the summer, it’s a great time to escape from the city for a few days (or weeks!). Our primary concern is making sure you are happy with your Nudy Patooty, and while we are quite sure you're going to love it, we want you to be able to try it out risk free. I travel a lot for work (I’ve been on 5 planes in the past 2 weeks!) so I am always trying to improve the art of packing a carry-on case. This means I need to be able to stay organized, pack versatile pieces, re-wear clothes, and wash the necessities! That’s one of the reasons I love my NUMI - I can wear it under my clothes to keep them clean. That way I can wear each outfit a few times- and they are super easy to wash in the sink and hang dry while on the road (and without access to a washing machine). A four wheel carry-on case, like the Tumi Accents International Expandable 4 Wheeled Carry-On, is a must for travel as it’s easy to push through airports and you can balance a second bag on top. I love to keep my suitcase organized by sorting clothes into packing cubes (Heys makes a 5-piece set), which also make unpacking at hotels faster and easier as I can just pull out each cube and tuck them away in a drawer. For quick and easy washing I throw in a few packs of Woolite Travel Laundry Soap so I can do some laundry in the sink when needed. I always pack a solid colour dress (I love navy, like this Ann Taylor Crepe Dolman Sleeve Dress) because it’s a versatile basic whose look can be changed up with accessories to go from day to night. Shoes take up a fair amount of space (it's hard to squish a stiletto!) so I find it best to bring a neutral pair that goes with everything. I love a simple tan wedge like this Jean Wedge from Stuart Weitzman, especially when I know I’m going to be doing lots of walking (and wedges are an absolute must on cobblestone). Lastly, when exploring a new city I always carry a city guide so I can experience the culture like the locals! I hope these must-haves will help you in your packing- enjoy the start of summer!